When so many kiddos have made the Nice list throughout the year, sometimes it is hard for Old St. Nick to keep up! 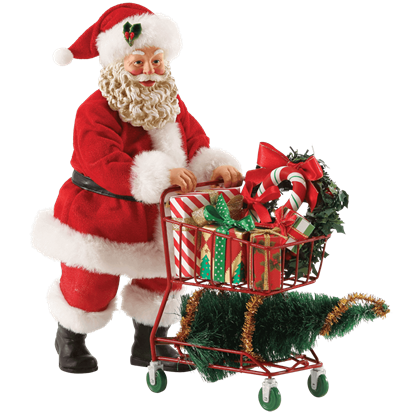 This Aisle 25 Santa Figurine displays the jolly man himself making a run to the store for some last minute gifts. Having a little one in the family enhances the joy and magic that comes in the holiday season so much. 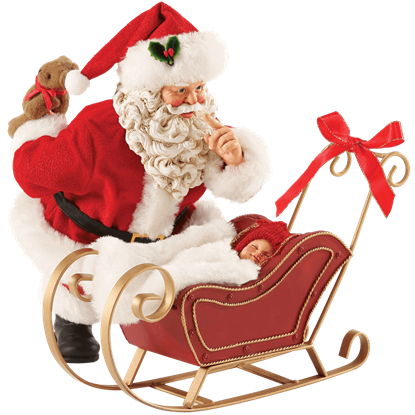 Be sure to celebrate the first Christmas that your bundle of joy will experience with this All Snug in the Sled Santa Figurine. At Santas workshop in the North Pole, his Christmas decorations are undoubtedly the best on the block. 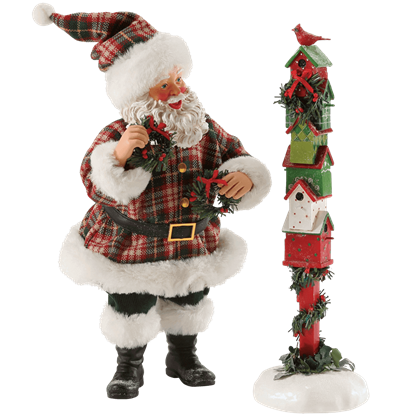 In this Fine Feathered Friends Santa Figurine, you can show the jolly gift-maker as he festoons his birdhouses with wreaths. Not just on Christmas Eve, but all through the holiday season, nobody works harder than Santa to bring joy to children of the world. 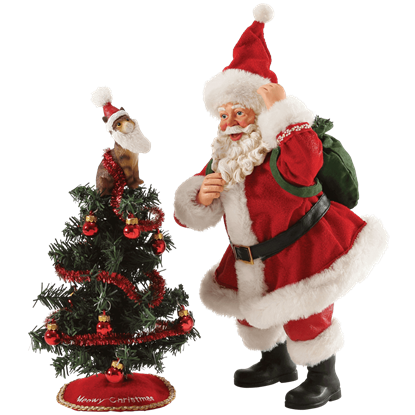 Display St. Nick as he sets out on his all-night journey with this First Class Holiday Santa Figurine. Do you have some folks in your home who have been extra good this year and deserve recognition? 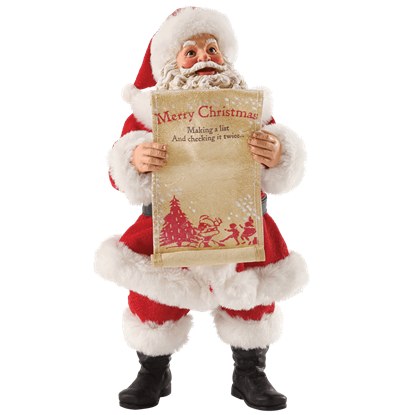 If so, be sure to use this Gonna Find Out Santa Figurine to congratulate them for making the coveted Nice List at Christmastime! 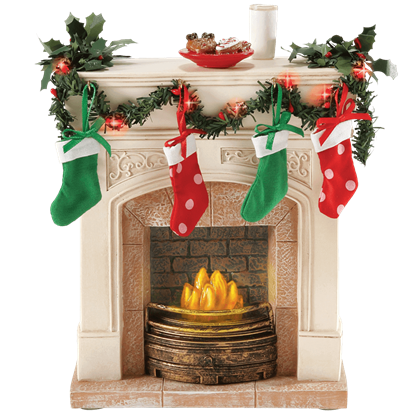 Nothing is more beautiful inside of a home at Christmas than a warm fire and a mantel that is ready for Santa Claus! Bring a miniature version of this image into your home during the holidays with this Lit Fireplace Christmas Figurine. It may be quite tempting, but no peeking! 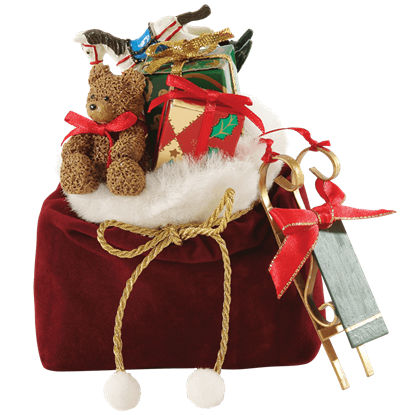 Santa Claus only trusts the people who made the top of the Nice List to look over his bag. 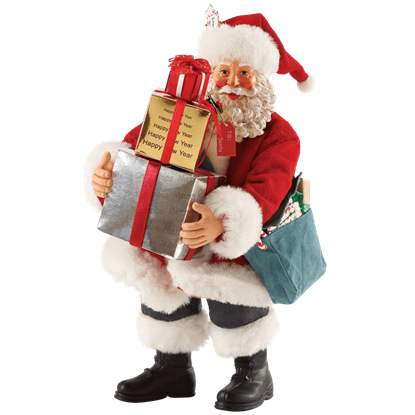 Now, you can be one of these people with the Santas Bag Christmas Figurine in your holiday decor. Santa Claus always gets all of the credit for his worldwide journey on Christmas Eve, but what would he do without the magical reindeer who pull his sleigh? 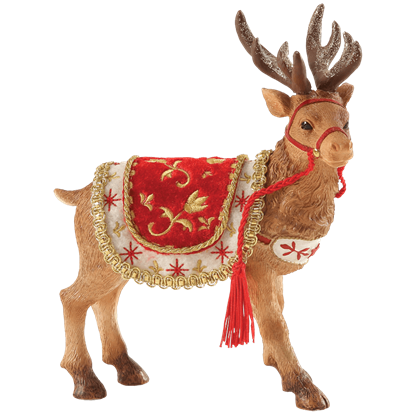 Pay homage to this flying fleet with the Santas Reindeer Christmas Figurine! Only the best elves of the bunch are given the coveted honor of decorating the North Pole Christmas tree. 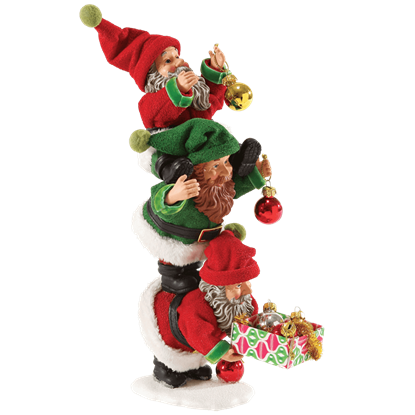 Sometimes though, as this Three Elves Christmas Figurine displays, they have to work together to adorn the top of the tree! Anyone who has ever owned a cat knows how much they love to play with shiny Christmas decorations. The kitty in this Tree Toppler Santa Figurine is such a fan of the Christmas tree that he has decided to become its shining star!